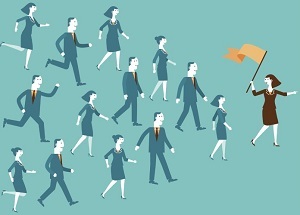 Influencing with Authority: Management, You Need Influencing Skills, Too! Influencing skills in today’s work environment are central to getting anything done. Consider what you do day in and day out. How much of your time is spent trying to get someone to think, feel, or do something they aren’t already thinking, feeling, or doing? We often think of the demand for influencing skills as necessarily going hand-in-hand with a lack of authority. That is, we see the need to be able to influence as a result of not having authority. But does having authority really mitigate the need for influencing? If I am in a position of authority, am I able to rely less on my influencing skills to be effective when working with others? I don’t think so. In fact, I’d suggest that whether or not one is in a position of authority has nothing to do with the need to influence. I see the need to influence as an inherent characteristic of contemporary work environments. These days, those who are most effective when working with others gets things done through influence, even those with authority. Increasingly, the question is not, “How do I influence without authority?” but rather, “How do I influence, whatever my position is?” Even for those with authority, influencing is the most effective way to compel others think, act, or feel something other than what they’re thinking, acting, or feeling. What is it about today’s work world that has cultivated the need for influencing skills for people of all political positions? I see three dynamics that most of us experience in our daily lives that characterize today’s work environment in which things get done almost exclusively through influence. These are factors that contribute to the diminishing importance of authority and the rising need for influence as a means of compelling others. Nowhere is influencing more clearly illustrated than in social media. Whether something as dramatic as Arab Spring, or something on a smaller scale like a restaurant getting a boost from a lot of 5-star ratings, influencing is what makes social media work. Influence in social media is fleeting and may only last a few weeks, days, or even hours, but we are influenced to drive certain routes, attend particular events, patronize certain stores, and innumerable other things every day. Where is the authority in these environments? There isn’t any, of course. In many ways, we are being conditioned to respond to the whim of whatever and whoever is trending at the moment. We don’t question who is making decisions about what’s important or not; we just follow or chime in as we choose. Our regular interactions with social media normalize this authority-less environment and makes hierarchy anywhere less palatable. Working virtually taps into influencing skills when trying to get things done with people you don’t interact with in person. The role of authority in a virtual environment is less effective for getting people to do things because most interactions in virtual environments are with team members or colleagues as opposed to management. When working virtually we don’t see management in the corner office, or attending management meetings, or going to management lunches. It’s easier to focus on the pragmatics of getting things done with the people we need to work with for the task at hand. It’s not that we forget about those in authority…exactly. But the absence of the visual reminders of the political hierarchy gives us more latitude, or perhaps courage, for influencing others when authority is out of sight. Whether organizations see themselves as agile or not, most work environments have been influenced by agile values and principles in subtle ways. Many department teams have daily stand-ups, for example. Viewing work through the lens of the customer and having a product focus rather than a project focus is another change in how teams think about their work that has been impacted by agile, even if the organization hasn’t embarked on an agile initiative. It’s increasingly an expectation that teams work without heavy-handed direction from people outside the team and capitalize on emergent leadership among team members to deliver results. The emphasis on collaboration is a cultural shift that has benefited many organizations and team members who are not likely to respond positively to someone using authority without some of the finesse that goes into influencing. Today’s agile-inspired work environment is highly supportive of getting things done in a context that is extensively dependent on influence. These are just a few of my ideas about the ways our work worlds create and drive the need for influencing skills and diminish the effectiveness of relying on authority. How about you? Do you find yourself needing to influence even with a title and position that gives you the right to direct others? I’d be curious about your thoughts as to how the factors I describe here are contributing to your experience with influence or what factors I haven’t mentioned impact your need to use influence.